 IAM are a French hip hop group from Marseille, formed in 1989. The band features Philippe Fragione (Akhenaton), Geoffroy Mussard (Shurik'n Chang-Ti), Eric Mazel (Khéops), Pascal Perez (Imhotep) and François Mendy (Kephren). They released their debut album, "...De la planète Mars" in 1991, followed by: "Ombre est Lumière" (1993/94), "L'école du micro d'argent" (1997), "Revoir un Printemps" (2003), "Saison 5" (2007), "Arts Martiens", "IAM" (both 2013) plus 2017's: "Rêvolution".